Similar to the university’s emphasis on RCE, Curricular Community Engagement (CCE) involves incorporating community engagement into the teaching and learning process for students. The CCE framework includes various teaching and learning approaches, including community-based education; internships; clinical education; experiential education; co-operative education; community-based learning; academic service-learning; community-based projects; and community outreach. As part of its mission of supporting RCE and CCE, the Department of Community Engagement offers a two-day Training Course for faculty interested in incorporating community engagement into their teaching or research. 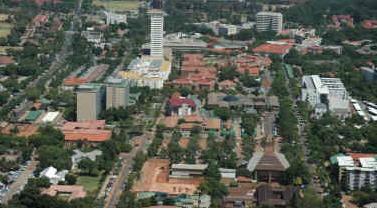 This course introduces participants to the theory and practice of curricular and research community engagement in higher education and, specifically, at the University of Pretoria. 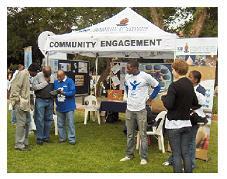 Many of the individual faculties at the University of Pretoria conduct community engagement projects. For example, the Faculty of Law has a proud tradition of rendering legal services to the community through its Law Clinic, specifically to the less privileged and often marginalized members of the community. For the past few years, the Clinic has handled in excess of 2,000 cases per year. It renders a full range of legal services, ranging from advice to legal representation in both civil and criminal matters.